The Difference a Day Makes: Part 2: Resistance is Life! (Versíon en Español aqui). After lunch we met with two organisations working together in the same building: Accion Ecologica and Yasunídos. It seemed like one big collective, mostly made up of foreigners. We sat and chatted with them for a while. They were entirely focused on collecting signatures to petition for a public consultation on whether to drill for oil in Yasuní National Park. 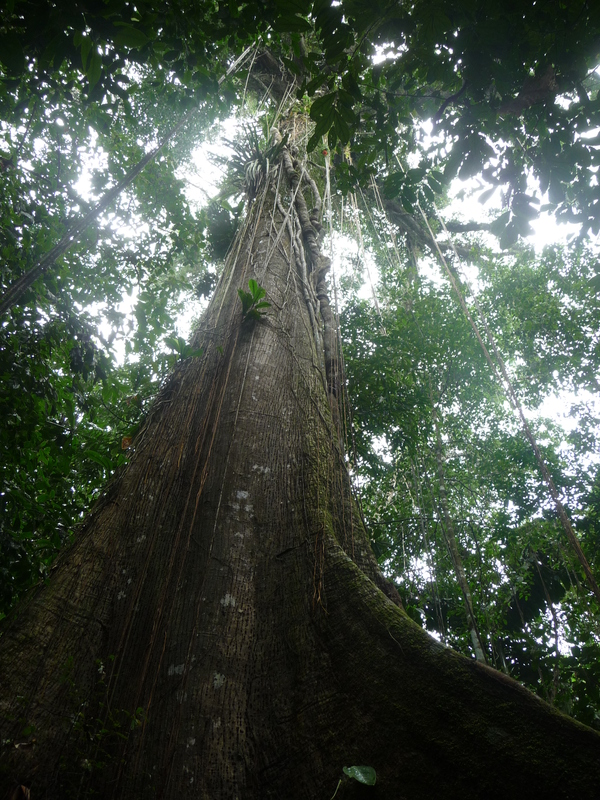 One single hectare of rainforest in Yasuní harbours more tree and insect species than all of the USA and Canada combined. For those who haven’t heard of it, Yasuní National Park is an area of the Amazon recently found by scientists to be the most bio-diverse on the planet and probably unmatched by any other park in the world for total numbers of plant and animal species. The park was designated a UNESCO Biosphere Reserve in 1989. Yasuní is also home to indigenous peoples with legally recognised territorial rights (Waorani) and two of the last native communities living in voluntary isolation (Tagaeri and Taromenane). Ecuadorian society at large has mobilized to reject oil drilling in Yasuní and to demand their constitutional right to a public consultation. In response, the government has promised to hold the consultation if civil society presents 600,000 signatures to Congress by the end of March. 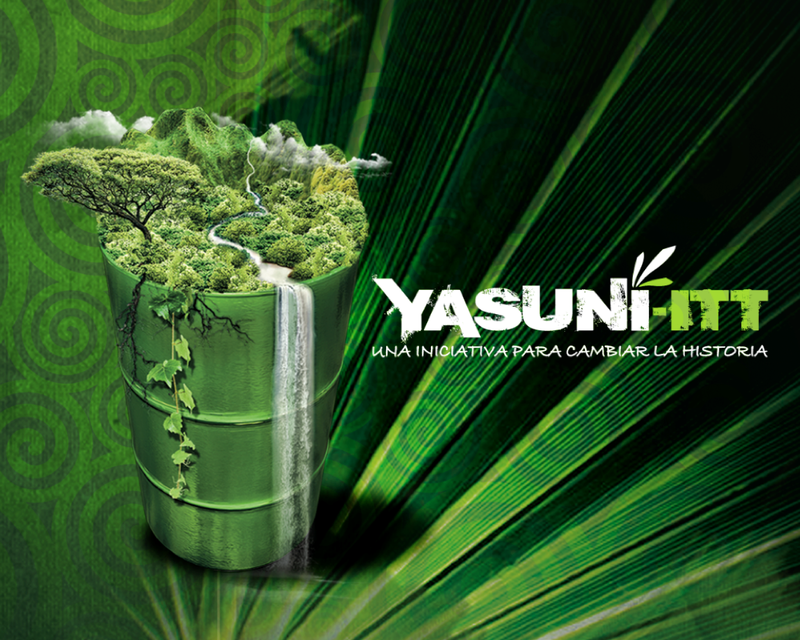 It’s a tall order, but it may be the only way to save the planet’s most bio-diverse region: recent polls suggest that up to 90% of Ecuadorians would vote to keep Yasuní oil underground, despite a savvy PR campaign from the government. In an advert played regularly on the several state-controlled television channels, the government liken drilling in the national park to a baby getting vaccinated; a small scratch which is painful for a second but goes on to benefit the whole body. Accion Ecologica and Yasunídos invited us to accompany them collecting signatures, but we declined. We had another meeting to prepare for. We’d decided to embark on our new project immediately, by asking Carlos Pérez Guartambel if we could finish our meeting with a brief video interview. C spent the rest of the afternoon researching into questions about Decreto 16 and the government’s oppression of NGOs. I wanted to speak with him about how to be most useful in the fight against big oil in the Amazon and spent the time preparing what I wanted to say in Spanish. I was in awe of the guy I was about to meet, whose background in activism centres largely on the fight against mega-mining in the southern Ecuadorian region of Kimsachocha. The Ecuadorian constitution guarantees indigenous communities the right “to free prior informed consultation, within a reasonable period of time, on the plans and programs for prospecting, producing and marketing nonrenewable resources located on their lands and which could have an environmental or cultural impact on them”. When it became clear that the government had no intention of holding a public consultation on whether to allow mining in the Kimsacocha region, Carlos was part of a team which organised their own consultation process, without state authorization. This grassroots process was legitimised by the presence of international observers and the result was 93% against mining. Not surprisingly, the government disagreed with the consultation process (and even more with its outcome) and declared the consultation fake. However, the United Nations came to Kimsacocha to learn about the process, took testimonies, and established a report that identified the process as one of the best practices of participatory democracy in the world. As if an impressive background in activism isn’t enough Carlos Pérez also has five degrees (in law, indigenous justice, environmental law, watershed management and criminal justice) and is the author of several books on indigenous rights and law. From humble beginnings (his parents are ‘campesinos’ or peasant farmers), Carlos put himself through university with scholarships and by playing the saxophone. Carlos happened to be in Quito for an important two-day summit of the indigenous leadership (another serendipitous piece of timing) and he suggested we meet at the Universidad Andina, the venue for the meeting. When we arrived, the summit was still in session and it was open to the public, so we took chairs in and sat at the back. Seeing Carlos at the top table, presiding over the meeting, made me feel even more nervous. The last person to speak was a woman who talked about resistance and the government’s reaction to it. “They are trying to frighten us, but we are not afraid!” she said. After the meeting, we went with Carlos to the hotel he was staying at, in order to find a quiet place to conduct the interview. It was apparent that Carlos was not in it for the glamorous lifestyle: swanky it was not. 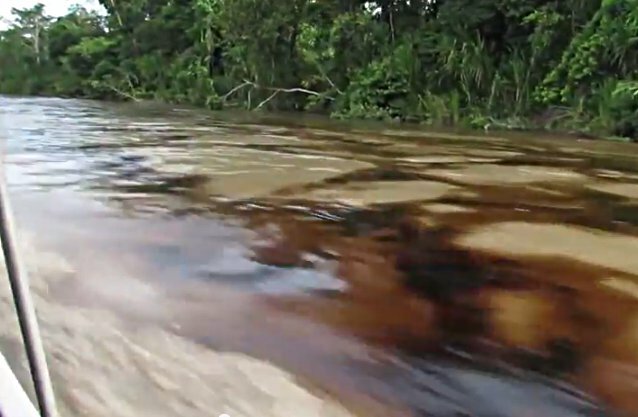 How can we be most useful in the fight against Big Oil in the Amazon? How can we best support the indigenous peoples who are defending their ancestral lands against the invasion of oil companies? Carlos responded by echoing what K had said; that Pachamama would not be the last organisation to be closed by the government; that now was not the time to draw attention to ourselves. He went on to explain that, for Ecuarunari, the urgent priority is the collection of signatures for the Yasuní public consultation. He said that the time to fight for the 8 million acres being sold in the XI Oil Round would come, but the more immediate concern was for Yasuní. He explained that even though the government is making the task difficult by being very stringent over the validity of signatures (e.g., one smudge on the page invalidates every signature on it), Ecuarunari and other organisations would do their best to achieve the impossible and submit 600,000 impeccable, digitally documented signatures by the end of March. He liked the idea of travelling around Ecuador and documenting stories of life and resistance. He said that next time he goes to Yasuní we would be welcome to go with him and interview people there. Of course, we said we’d love to! What an adventure that would be, travelling into the heart of the struggle with a leader of the resistance. “We only receive what we give. Giant inequalities have made us natural rebels. Freedom is a reachable ideal; we just break the physical and mental chains. It’s better to live an agitated life than a sepulchral peace. We are water; we come from her and we return to her. If we take care of water today, tomorrow we will achieve peace in the war between the peoples”. Definitely the coolest business card I’ve ever been given! 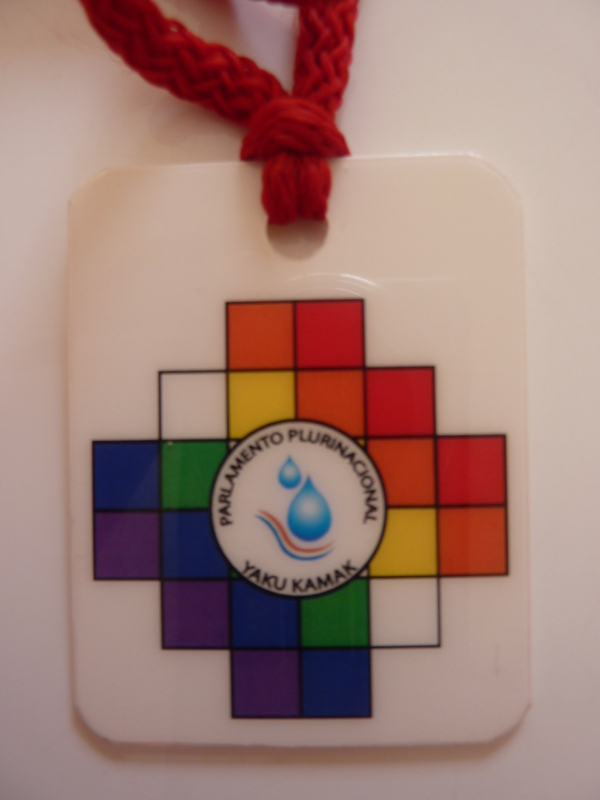 He also gave us each this ‘Chakana’ or Andean Cross, which is an ancient native indigenous symbol from the central Andes that represents, among other things, the equality, communalism and balance that make harmony possible. 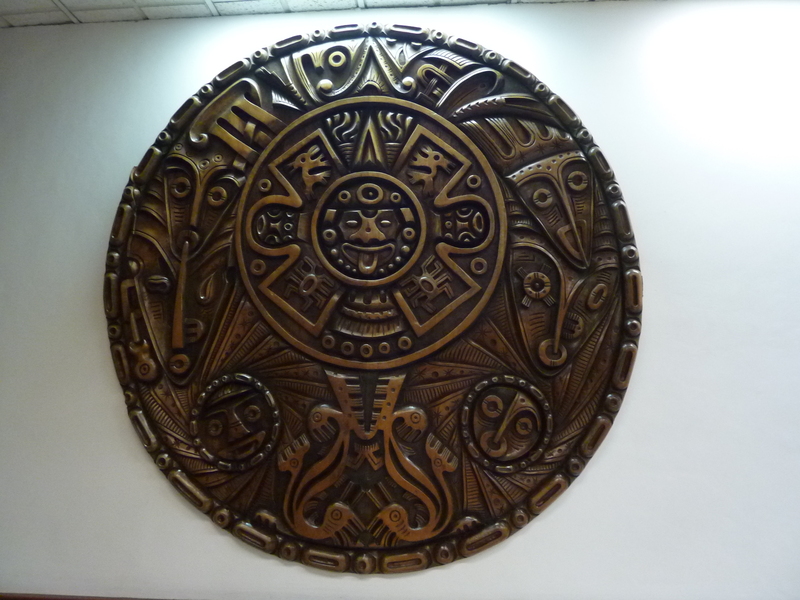 According to indigenous beliefs, whoever lives based on the knowledge of the Chakana achieves a harmonious life in individual, family, social and community spaces, and with Mother Earth. After our meeting with Carlos, I was absolutely exhausted and my brain was barely coping with everything that had happened. Under the frazzled feeling, I was delighted with the way the day had gone and that both K and Carlos had taken us seriously. The next morning we were on the 6:30am bus to Guayaquil. There was a march for ‘Resistance & Life!’ there in the early evening and we wanted to make it back for that. The journey ended up taking 11 hours and en route I hatched plans for this blog. Towards the end of our journey, we made banners for the march. On one side, C’s banner quoted Carlos (“Giant inequalities have made us natural rebels”) and the other protested the advance of oil companies into the Amazon. Mine quoted Helen Keller (“Life is a daring adventure or nothing”) and on the other side “Say ‘No!’ to Oil Companies in the Amazon!”). There weren’t many people at the march (not surprising, as it had only been organised two days previously), but it was fun showing our banners to all the people stuck in traffic. After the march we went to see a film at the cinema, a real relief after such an intense couple of days. “The Hunger Games 2” was full of symbolism about revolution and I enjoyed it, especially as the lead character was a strong female. After talking of almost nothing but resistance for two days, being in the mall felt very surreal and plastic. As C commented “being here makes it feel impossible to change the world”. 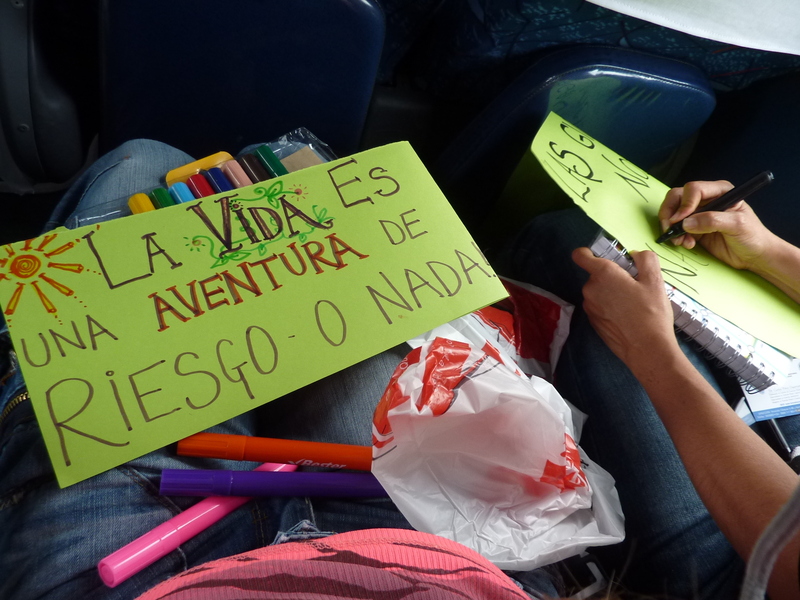 I can’t wait for the next instalment of the adventure, which I hope will take us back to Quito at the end of January. This entry was posted in English and tagged Amazon, Amazon rainforest, Carlos Pérez Guartambel, Ecuador, Ecuarunari, Quito, Resistance, XI Oil Round, Yasuni on December 31, 2013 by chakanachronicles. (Versión en Español aquí). 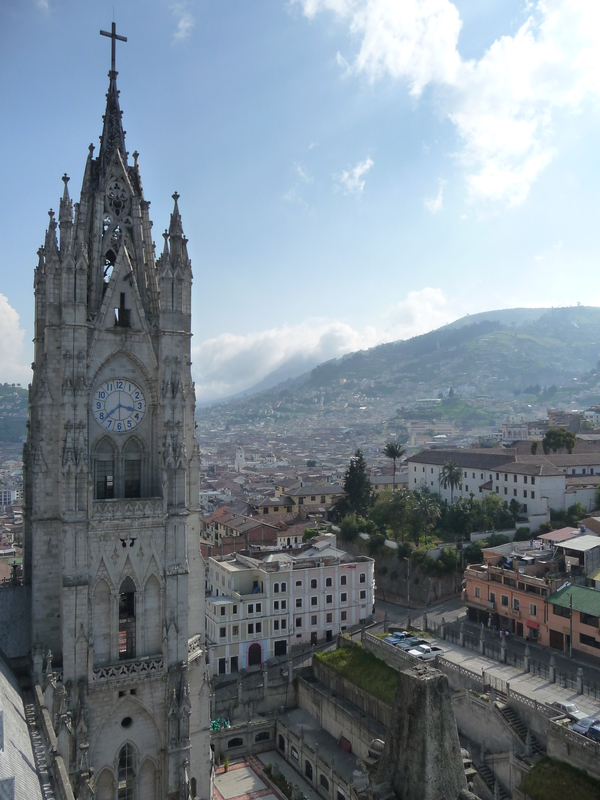 To me, Ecuador’s capital city of Quito is a place of bright blue skies; cold crisp nights under heavy woollen blankets; breathless walks up steep cobbled streets; whitewashed walls and junkshop chic. It was a single day in this beautiful city which led to my friend C and me accepting the most exciting challenge of our lives. Backtracking a little, what was it that led us to undertake a journey such as this; to ask questions such as these? Our shared interest in the topic stemmed from watching this eye opening low-budget documentary about oil exploitation in the Ecuadorian Amazon. As I watched this documentary for the first time, I was horrified to see the terrible social and environmental impact of existing oil exploitation in Ecuador’s rainforest. I was also absolutely shocked by the government’s plans to sell all of Ecuador’s remaining virgin jungle, totalling 8 million acres, to oil companies in an auction known as the XI Oil Round. As I discovered the scope of the calamity, I became increasingly determined to spread the word as widely as possible about this enormous environmental crime. I began by writing articles, one attempting to appeal to a wider audience by comparing the situation in Ecuador to the plot of the movie Avatar. I sent countless emails to environmental radio stations; local, national and international news outlets; celebrities; and university environmental groups, trying to raise awareness of the XI Oil Round. “When the Earth is beset by bulldozers, drilling-platforms and leaky pipelines and we feel dizzy in the ensuing dust bowl of depravity – we need to put down our maps and look about to track the signs and symbols that are left, to recognise the chance meetings and then to know there is a way out. Above all else we need to recognise the warriors who are making a stand. And so it is that I introduce you to one such person. I do hope you are able to share information or ideas, but also inspiration”. If being called a warrior by a Greenpeace captain is not incentive to go on, I’m not sure what is. 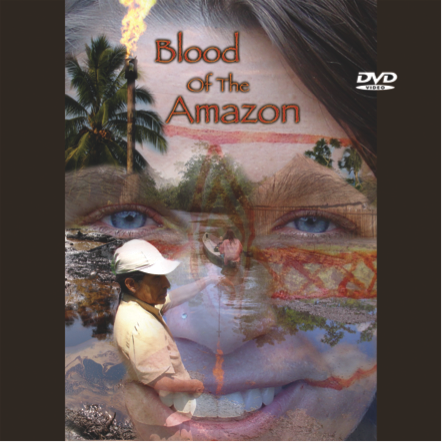 A major milestone for me was a screening of a film about oil exploitation in the Ecuadorian rainforest called Blood of the Amazon. By a serendipitous stroke of luck, the event was happening during a brief visit to the UK. I ended up speaking at the event and was struck by two things. Firstly, even in that informed crowd, not a single person knew about Ecuador’s impending rainforest auction. Secondly, that a number of people were interested in supporting the indigenous communities resisting the invasion of oil companies into the Amazon. I started to wonder whether my role might be to gather international support for the indigenous resistance, as well as to spread the word about what was happening. The creator of Blood of the Amazon, environmentalist Nicola Peel, has been working to protect the Ecuadorian Amazon for many years and is involved in some incredible projects, including research into the use of mushrooms to clean up oil pollution (amazingly, 95% effective). I’m a big believer in the universe putting the right people in your path at the right time and so I’d reached out to Nicola before the event and we had a strategy meeting the following day. We discussed plans for gathering support for the indigenous resistance and she subsequently introduced me to some key contacts. After months of knocking on doors, it was a huge breakthrough when one of Nicola’s contacts responded to one of my emails and I was offered a meeting with a very well respected international organisation with a small presence in Quito. The capital city is a hub of resistance in Ecuador and I wanted to make the most of my time there. Through a mutual friend I set up a meeting with Carlos Pérez Guartambel, leader of Ecuarunari (the Confederation of Kichwa people of Ecuador). 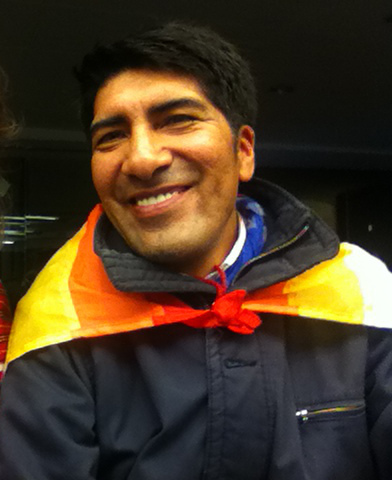 Carlos is a long-time activist dedicated to the indigenous resistance and I was star struck at the prospect of meeting him (to understand why, read this wonderful interview, which has been a real source of inspiration to me). A couple of months previously C had happened to watch “The Dark Side of the Amazon” on the internet and was so moved by it that we began to discuss what we could do about it. We decided to go to Quito and find out. This entry was posted in English and tagged Amazon, Amazon rainforest, Carlos Pérez Guartambel, Ecuador, Ecuarunari, Quito, Resistance, XI Oil Round on December 31, 2013 by chakanachronicles.